Unfamiliar as one might be with the specifics of this man’s output and life, you only have to look to Shipton’s fine research to get every gewy morsel of what was surely an amazing American pop icon’s career. 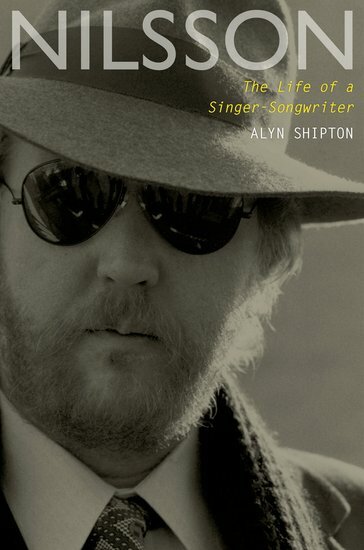 Nilsson might not be a household name as other American pop stars of his era were, but I assure you if you stop to listen to his songs, not hits and pour over a book like this, you’re going to come away with quite a bunch of great rock facts (and wonderfully wild stories, in and out of the recording studio) that will endear Nilsson to your heart. As I have opined in many a review and to the fraying patience of those who have heard me say this too often, the 70’s were a glorious time for pop/rock music and Nilsson, making music for so many other wonderful men and women, some known, others not so known, created a tapestry of sound that defined that special era. He was a special talent working in a special time and Nilsson: The Life of a Singer-Songwriter makes this fact very clear.